Yesterday’s snap election in Great Britain marked a rebuke to conservative leader Theresa May and the burgeoning nationalist movement. It calls into question the British exit from the European Union and serves as a triumph for the country’s Labour party, which vastly outperformed expectations. In America, it’s a victory for the “Bernie would have won” set, backing up the notion that a proper socialist message can rally the coalition of minorities and young people that helped elect Obama twice as well as the working class white population that the nationalism of Brexit and Donald Trump exploited and misled. Also, it introduced us to Lord Buckethead. Big day all around. The leader of Britain’s Labour party, Jeremy Corbyn, was understandably happy yesterday. 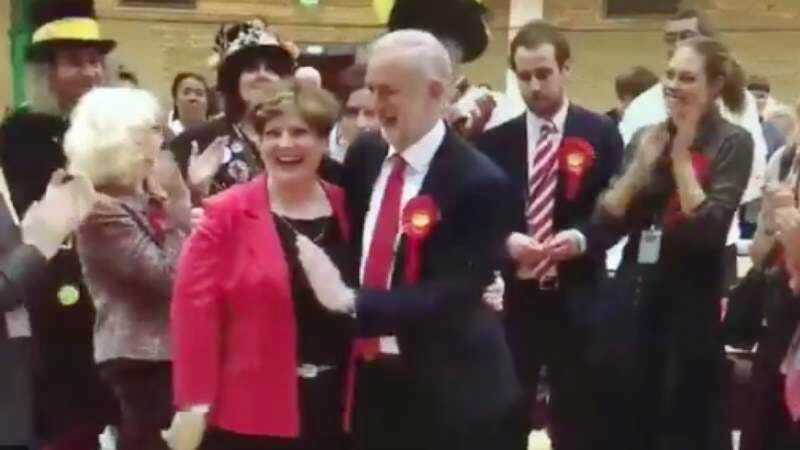 And so, during a photo op with Shadow Foreign Secretary Emily Thornberry, he went for a high five. What resulted was a tragedy that will surely cast a pall over the victory in Corbyn’s memory for the rest of his days. Let’s talk about what’s gone wrong here. First off, it’s a bad angle. You can side-hug and high-five, but doing so simultaneously puts you at a disadvantage. Then there’s the fact that they already had a coordinated hand movement going on: They’re pointing at each other. Done! Photo op achieved. After that, you just stand and smile. The fault really falls on Corbyn, so delighted by the successful finger-pointing photo op and so high on the day’s triumphs that he assumes that they are then transitioning into a high five. The sideways high five or even the photographed high five should only be begun with direct eye contact with the other person—to verify, yes, we’re going to high-five right now, let’s nail it—but Corbyn throws all of that out the window. And instead he slaps her on the center of her chest. It is not a good look, Jeremy Corbyn. What can we learn from this? Unless you have an organic high five brewing, do not attempt one in front of cameras. And if you are over the age of, say, 25, and are not a professional athlete, you probably do not have an organic high five brewing. Yesterday was a big day for Jeremy Corbyn and possibly a bellwether that the nationalist tide is abating in favor of a resurgent socialism, but it was also a reminder that the high five is a mercurial thing. It giveth and it taketh away, and sometimes you slap a political colleague on the torso.